Many coaches and athletes define functional threshold power (FTP) as 95 percent of the average power from a 20-minute, steady-state, all-out time trial. While this may provide an accurate FTP for about 50 to 60 percent of the population, it doesn’t hold true for a large number of athletes. Among the cyclists I coach, the range of FTP relative to 20-minute power is as low as 86 percent for a track sprinter and as high as 96 percent for some time trialists. 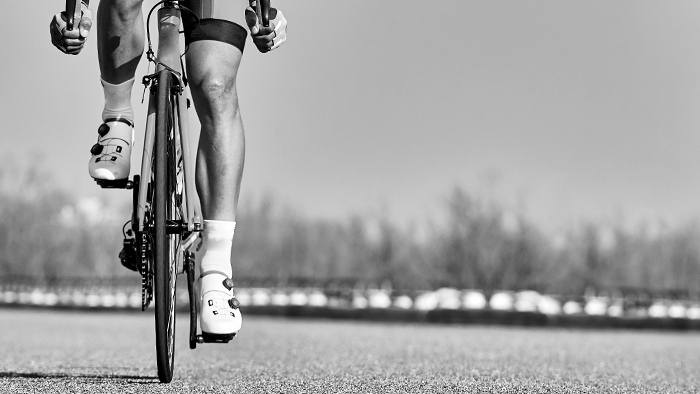 Using a faulty FTP can lead to suboptimal training targets, resulting in power targets that are either too hard or too easy thereby leading to sub-optimal training adaptations. The variability in FTP relative to 20-minute power is due to how much work (in kilojoules) different cyclists can do over threshold. We’ll look at this variability in two cyclists using WKO4’s new metrics, which give deep insight into the “diesel” aerobic and “turbo” anaerobic parts of our engine and the relative contributions of each. We’ll then discuss the physiology behind FTP as it relates to the concept of maximal lactate steady state and why the new testing protocols are more valid FTP measurement tools for the way they create these conditions. Many popular training methods today are aimed squarely at improving 20-minute power. While improving 20-minute power can be a sign of progress, we don’t know if we’re truly increasing FTP, which is the amount of power that can be put out at maximal lactate steady state (MLSS). While in this state, an athlete will fatigue in between 30 and 70 minutes (known as time to exhaustion, or TTE)1 rather than the traditionally defined 60 minutes. It’s easy to see that FTP is not always 95 percent of an athlete’s best steady-state, 20-minute effort. In WKO4, the Aerobic Anaerobic Contribution chart will show us how power at 20 minutes can be different relative to FTP. This chart is pictured below for a well-rounded elite female road cyclist, and we can see an 11-watt anaerobic contribution at 20 minutes with a power of 279 watts. Her FTP of 268 is 96.1 percent of this power, and she can hold it for about 40 minutes. The second chart below is from an elite male track racer. At his 20-minute power of 262 watts, there is a 24-watt anaerobic contribution. His FTP of 238 watts (at a TTE of 75 minutes!) is 90.8 percent of his 20-minute power. It is clear that the 20-minute test does not give the same result for these two riders. Individual riders can also get inconsistent results from their own data from different test days, as anaerobic contribution to a 20-minute test can vary depending on training cycle focus, diet or state of restedness. When a test cannot reliably measure what it purports to, it is invalid, and we must turn to different methods. To understand the validity of the new tests, we must first understand what FTP represents. As mentioned in other articles, such as this one on TTE, FTP is an individual’s power output in watts, or work rate in kilojoules per second, at MLSS. It can be held for approximately 30 to 70 minutes (a 30- to 70-minute TTE) at a blood lactate concentration of 2-8 mmol1. The reason it’s a useful measurement is that it represents the balance between the breakdown of glucose to pyruvate (glycolysis) and the rate of pyruvate use by mitochondria (TCA cycle). For more information than we get into here, this article is excellent reading. The breakdown of sugar to pyruvate happens in a cell’s cytoplasm. Pyruvate has two fates. One is conversion to acetyl coenzyme A (acetyl CoA), which is used in the TCA cycle in mitochondria. Pyruvate’s other fate is conversion to lactate, which can be converted back to pyruvate when exercise intensity decreases, or sent out of the cell into the bloodstream. Now that we can see the ineffectiveness of the 20-minute time trial as a determination of FTP, I would like to present the FTP tests I designed to reflect actual physiologic FTP conditions. The procedures are longer, but there is unanimous consent, at least among the people I coach, that they’re physically and mentally easier. Empirical cycling tests make use of an athlete’s target FTP. It is critical to not overestimate the target, so all tests begin below the target. I give my cyclists a lot of interval sessions in their training plans, in which I’ll prescribe the first couple intervals at a set power, then tell the athlete to go all out on the last couple. As the average power across these intervals increases through a training block, I can ballpark where the athlete’s “target FTP” will be. If you want to use my tests but aren’t sure where your target FTP is, a 3- to 8-watt increase is a reasonable starting point; however, if during the test you believe you can do more, try it. I tell my athletes that there’s no wrong way to perform these tests; learning how to self-pace is a crucial skill for any competitive cyclist. Our tests also include a target related to TTE (if using WKO4). FTP training aims not only to raise power, but also to increase TTE, so I made these tests equal to or longer than TTE in order to bridge the inflection point where the power curve begins to drop off more rapidly. This point is shown in the graphs above as the vertical blue line. Before doing any of the following FTP tests, you must do a long and thorough warm-up. 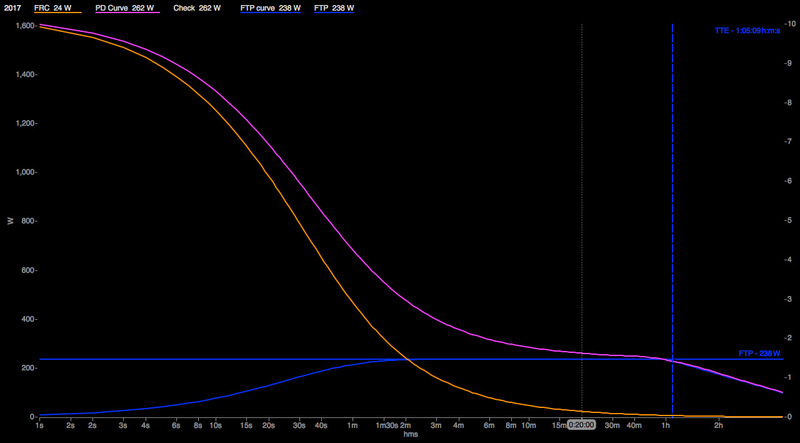 Your FTP will be equal to the average power of the entire test, and I double check it with the WKO4 modeled FTP. Keep in mind that you never have to do a test longer than you’re interested in doing it. Many cyclists are happy with a 40 to 45 minute test and would rather not go longer, in which case we just work with a TTE the length of their test. If you’re still concerned about your 20-minute power, rest assured; everyone I coach who prefers the Baseline or Progression 1 tests always sets a new 20-minute power during them. Athletes who move on to Progressions 3 and 4 do a separate mid-range test of 15-20 minutes. This quote about training with power was memorable to me: “Power meters help you calibrate your brain.” Feedback between power output and body sensations is a critical tool of success in all cycling disciplines. When I work with cyclists new to either training with power or performing intervals longer than 20 minutes, I always start with Baseline Test to assess their ability to self pace in the last 10-15 minutes. 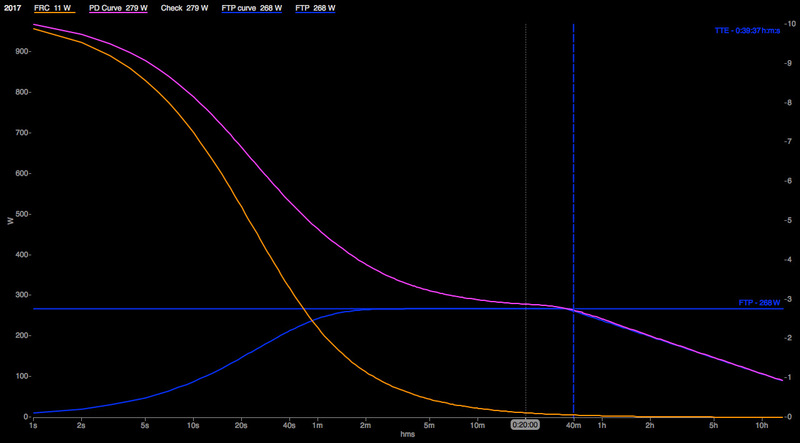 As they progresses in their ability to “feel” FTP, the ramp at the end of the test gets smaller or later. This is the sign they are ready to move on to the next Progression. Interested in learning more how WKO4 can help you gain a deeper insight into your performance potential. Try a free 14-day trial today.